You can’t imagine telecom sector without a proper billing system in present scenario. The advent of billing system dates back to 1990s. But its importance grew with the rise of smartphones and telecom services like 4G internet technology along with hybrid models (postpaid and prepaid). Rise of competition in telecom industry gave birth to complex forms of telecom plans for subscribers which ultimately raised the demand of telecom billing software. These software solutions are expected to streamline the overall billing process from the scratch and provide an array of benefits to both companies and users. Here is a list some essential features and benefits of telecom billing systems which reflect its importance in telecom industry. Every telecom company understands the importance of high precision when it comes to telecom billing process. Even a minutest issue in the process can result in financial damages to the company. Robust billing software ensures that final bill received by customer is free of errors. This also makes sure that customers do not get frustrated in the process of rectifying the errors. The behavior of customer in relation to telecom services has become quite volatile due to availability of multiple options. The customers prefer a proper automated bill which can be paid online effectively. He hates standing in queues for bills especially related to telecom. So, a firm can attain the loyalty of customers and prevent them from choosing other operators by offering an automatic billing system. This facility is mainly beneficial when it comes to screening of lifeline subscribers. An advanced form of billing system possesses facility to check and remove the duplicate records. The software can also be used for rejecting the application of non-eligible customers on the basis of factors like Social Security Number (SSN) and date of birth etc. A customer in present day likes to optimize the spending associated with calling and other phone-related usage. And an itemized bill helps him/her in doing so by giving power to check every single telecom service-related transaction. These Itemized bills provide complete details related to monthly expenses with information like call durations, time and date of calls, SMS/MMS details, internet data usage and track dialed numbers. It becomes essential for telecom companies to provide this form of itemized bill which can be easily offered using telecom software. Companies can divide their customers into small batches to make the overall billing process more effective. This can be done by forming billing cycles through which bills are generated and distributed on a specific time of the month. This process is easily achieved through implementation of telecom solution. Paperless bill, also referred as electronic bills (E-bills) are rising in popularity as customers can view them easily on their smartphone or computers. Customers also like this form of billing as they can access the bill from any location of the worlds through their smart device. Also, it allows customers to store the bills effectively on their devices and prevents from hassles associated with filing of printed bills. On the other hand, telecom companies can save a lot of money which is usually spent on distribution and printing of bills. A lot of paper is also saved by the company which is beneficial economically and in terms of eco-friendliness. 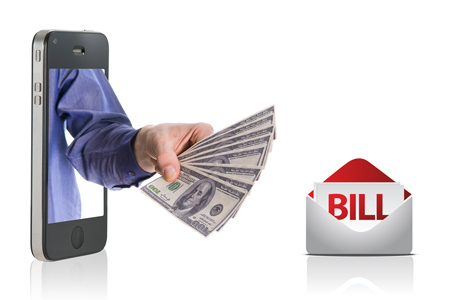 All these benefits related to e-bills can be enjoyed by implementing telecom software in the billing process. Tariffs related to telecom services are regularly modified by the companies to keep an edge over competitors. Also, the companies offer special tariff plans to selected customers to maintain their loyalty. The telecom companies also introduce corporate plans to attract consumers from different organizations by offering economical plans. These changes in tariff plans can be applied effectively on the billing system without disrupting the overall billing process. An effective billing system allows the telecom operators to manage their budgeting process by keeping a track of expenses. It allows the companies to be proactive which aids in streamlining the spending and overall billing process. As a result, the expenditure can be kept in check for enhancing the profits. The companies effectively utilize the telecom billing system for tracking expenses, usage and assets etc. These can support in effective preparation and analysis of business reports. These reports act as tool for taking the right business decisions which work positively for the industry. All these features and benefits of telecom billing solution reinforce its importance in the telecommunication industry. Technologies like convergent billing cloud technology are expected to change the scenario of billing system and make it more effective.